As your storefront ages, your company might see a drop in business. This is because first impressions matter. 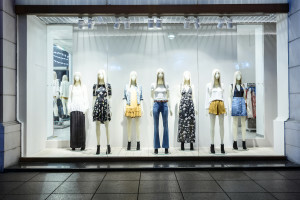 In order to bring in new clients, you have to have an attractive storefront. When considering a business remodel, a commercial glass storefront might be the best solution. Here is what you should know about storefront glass. What Is Storefront Glass Made Of? Designers incorporate aluminum and glass into modern storefront glass. These materials are sleek and simple, allowing for hard edges and crisp lines. Modern architecture is all about clean lines. What type of glass you choose depends on your interest in energy efficiency and durability. Tinted and insulated glass keeps your building warmer in the winter, but cool in the summer. If you want extra security, then you might want to consider something like Plexiglas. In addition to the glass itself, you should also consider the framing. For most storefronts, glass companies use hybrid aluminum-PVC, wood, vinyl, PVC or aluminum frames. This usually depends on your ideas for the look of the store and the architecture of your building. What Security Options Does Storefront Glass Have? Storefront glass has many different options when it comes to security. These versatile doors are available with standard door handles, access controls, custom handles, and automated closers. For extra security, locks and alarms secure the glass. As mentioned above, Plexiglas is best for durability and security. The glass panes won’t shatter. This is also true of reinforced glass. Storefront glass is not only durable and safe, but it is an attractive option. No matter what type of business you’re offering, if you have an unattractive storefront, your company is less likely to be inviting. Curb appeal is important when you want to make that first impression. Likewise, your safety and security should be important in your choice. For more glass solutions, contact Horizon Glass at 303-293-9377 today!